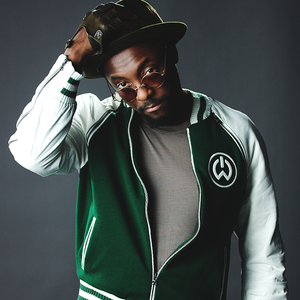 William James Adams Jr. (born March 15, 1975), known professionally as will.i.am, is an American hip-hop and pop musician and founding member of the Black Eyed Peas. Adams is of Jamaican descent and has rapped since his teenage years. Along with co-writing many of the Peas' hit songs, he's also had a solo career featuring multiple top 20 hit singles as well as collaborations with various artists such as Mick Jagger and Britney Spears among many others.